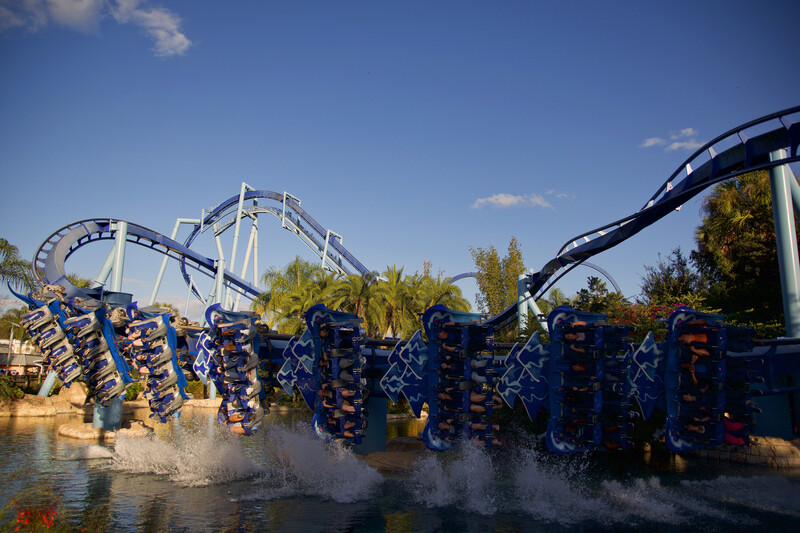 Sean: We swung by SeaWorld Orlando today for some rides and food. There are quite some changes to Sesame Street since our last visit 6 days ago, as well as Journey to Atlantis, which is currently closed for a refurbishment. Let’s take a look. Let’s start with the new Sesame Street area immediately! The former Shamu Express has seen a fresh repaint this week for its Super Grover’s Box Car Derby relaunch. The new dark blue supports and bright pink track looks beautiful. Here’s a bit of a closer look. The station roof too has a refreshing new look. Other than this coaster, the rest of the area still seems to have some ways to go. 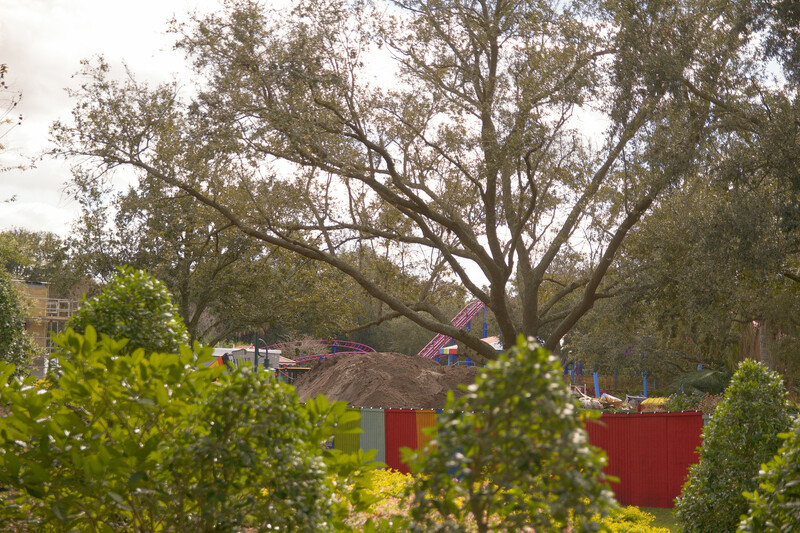 Lots of dirt is being moved around and new buildings are still under construction for the new themed land with 6 new attractions and a new parade. 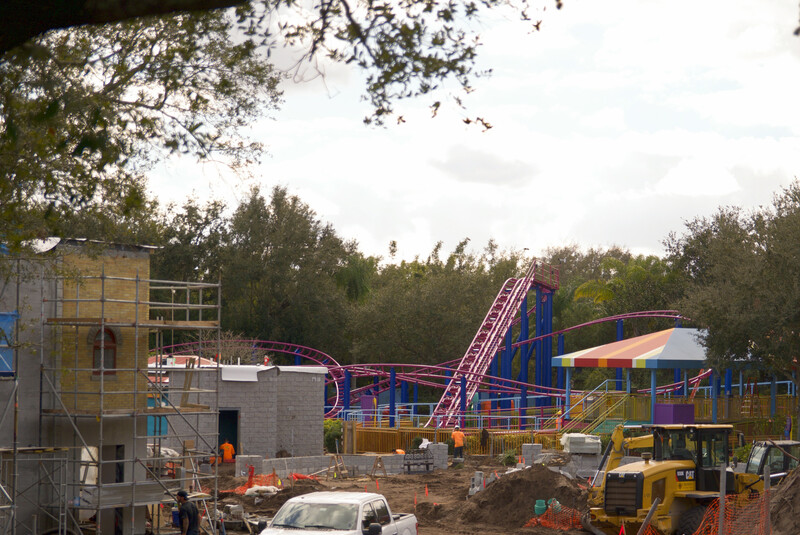 The nice thing about the infrastructure for Sesame Street is that it already looks to be much more official and temporary than Shamu’s Happy Harbor. 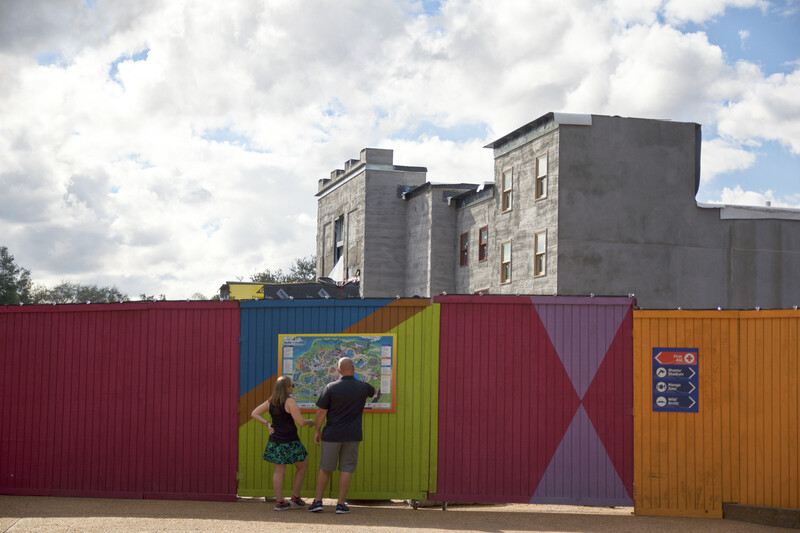 The new buildings are several stories tall to immerse guests into the Sesame Street realm. 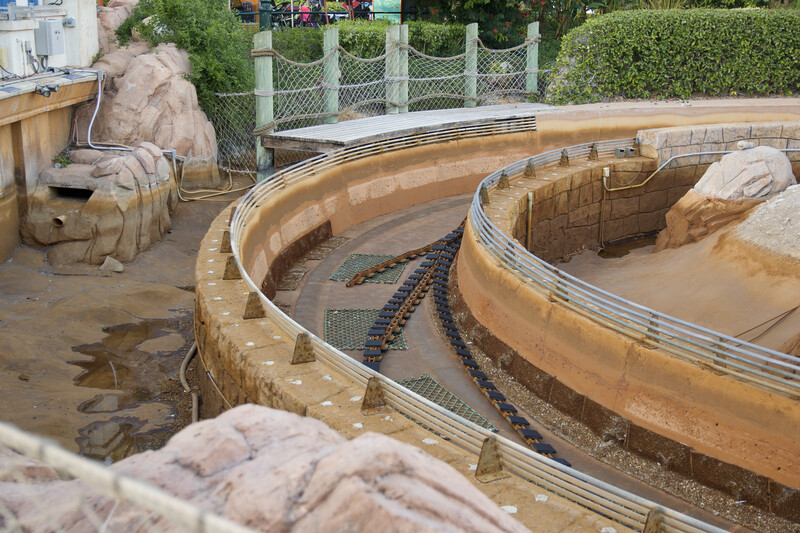 On the opposite side of the park Journey to Atlantis is undergoing an annual maintenance refurbishment. 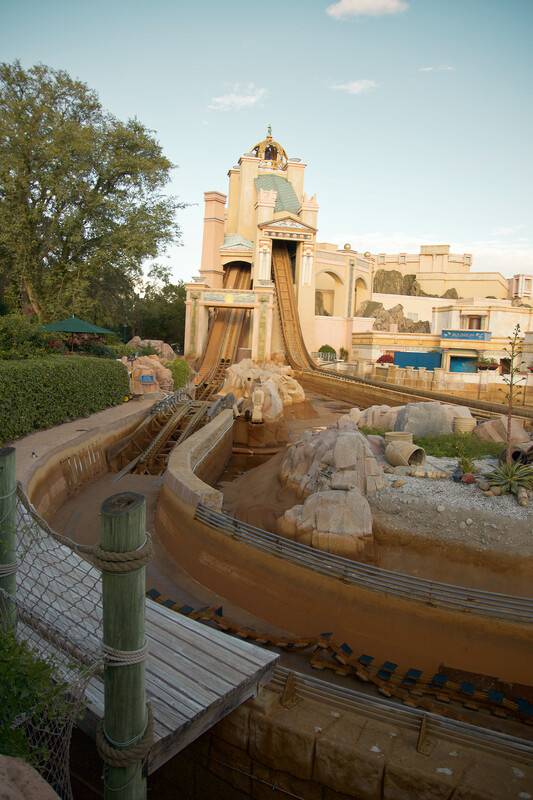 The flume is drained and cables are hanging off the main drop. Kind of strange not hearing the recent upbeat Atlantis music. Conveyor lift pieces of the midcourse stop have been removed off their mechanisms and temporarily stored in the flume. 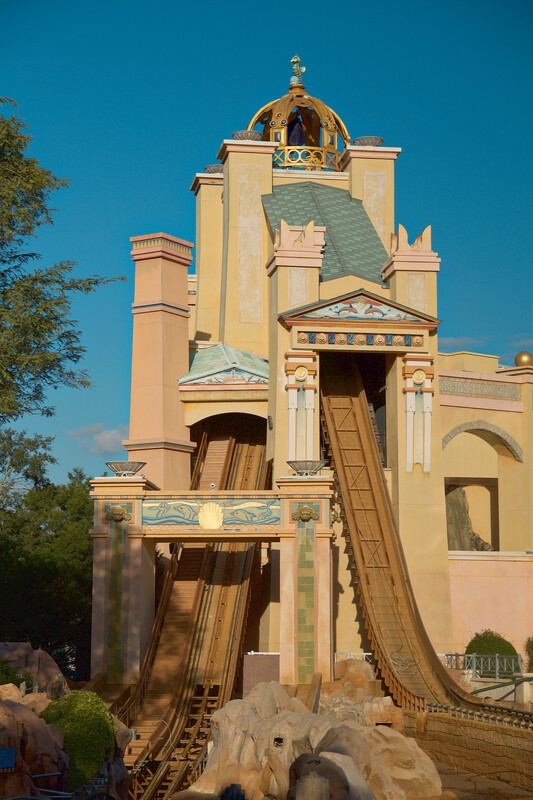 The main chain lift for the second half of the ride is also missing its chain, presumably because of a complete chain inspection, if not a chain replacement. In one of its recent rehabs the roof over the main drop has been replaced, the one over the lift however could use a refurbishment. Hopefully that’s in store with this refurbishment. At this time no reopening date has been announced. We didn’t actually ride Manta today, but since it’s such a photogenic ride, here are some pictures of it for you all, anyways. 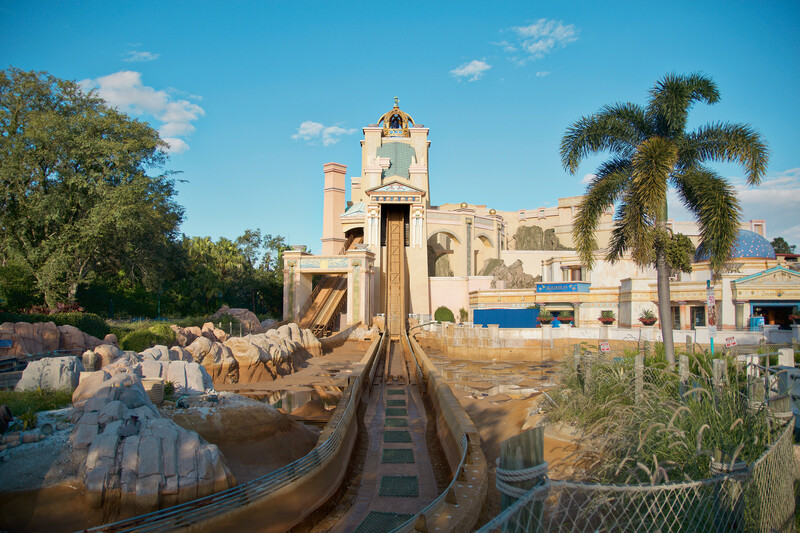 Strangely enough Manta runs with a train that is lacking the details on the front zero-car. It’s both modern looking, but also strange. 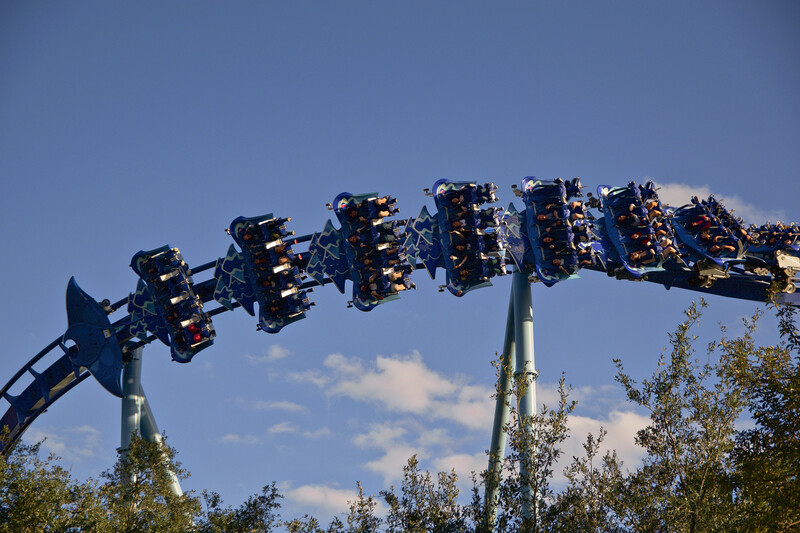 And so we wrap up this lightning SeaWorld Orlando update! 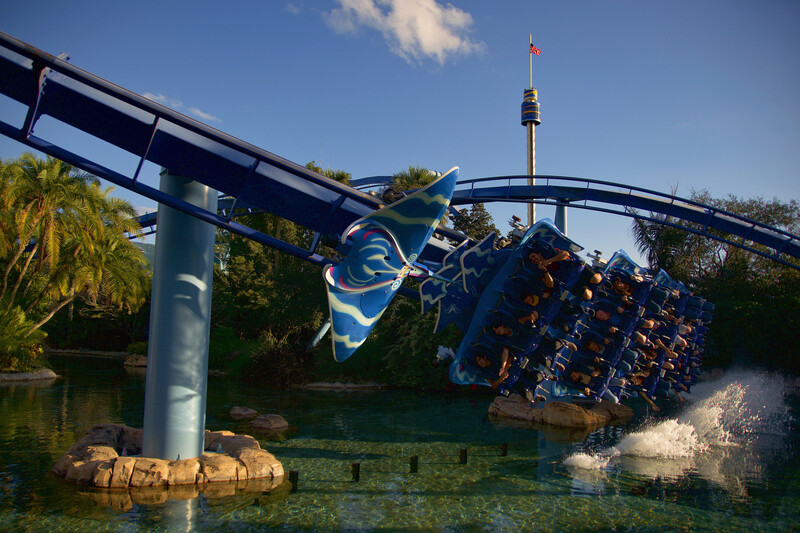 Thank you for checking out this new SeaWorld Orlando Update. 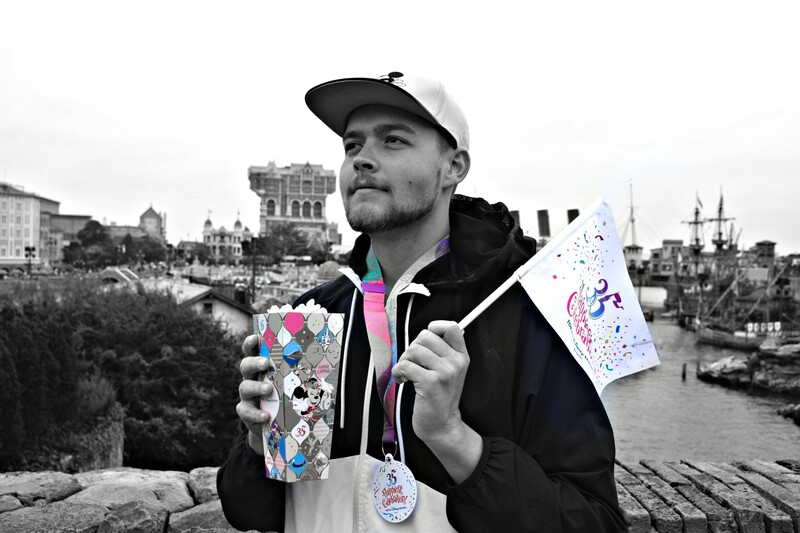 For last week’s update, click here. 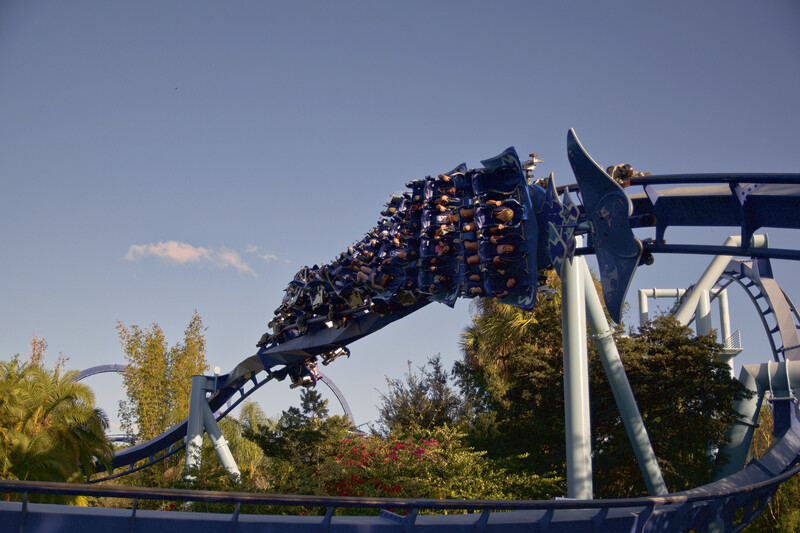 For our brand new Universal Orlando Report Update, click here.